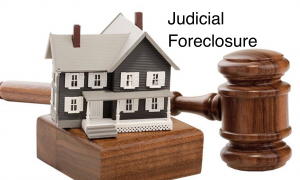 One option may be “Equitable Foreclosure.” What is Equitable Foreclosure? 1. The parties have clearly attempted or intended to make real property security for an obligation. 2. Despite the lack of any formal mortgage or deed of trust it is apparent that the parties intended to create a security interest in property. 3. Where the parties have otherwise clearly attempted or intended to make real property security for an obligation. 4. In the absence of any agreement, where it is necessary to prevent unjust enrichment. California court decisions have held that the business of the courts is to administer justice as nearly as may be in accordance with fixed rules of law and procedure, aided wherever and whenever proper and necessary by established and governing principles which relate to equity jurisprudence. (Estate of Kline (1934)) Foreclosure is an equitable action, and a trial court, sitting in equity, has broad, flexible power. Applying these concepts to community associations, it stands to reason that if an association violates the Davis-Stirling Act or records a defective assessment lien, a court may nonetheless be able to permit an association to foreclose on the property even if a minor violation has occurred. Likewise, the equitable foreclosure claim may also allow the Judge to permit the association to foreclose despite a last-minute partial tender of unpaid assessments. 1. Consult with legal counsel to determine if the mistake is significant and needs to be corrected. 2. Consider re-recording the assessment lien to cure the defect. 3. Consider entering into a payment plan agreement where the owner agrees to waive defenses, agrees to the validity and enforcement of the assessment lien. 4. Consider pursuing “Equitable Foreclosure” as a cause of action in the collection lawsuit. 5. Consider re-starting the collection process or a portion of the process prior to proceeding with foreclosure. While a delinquent owner may be able to challenge an assessment lien that is procedurally defective or seek to prevent an association from pursuing foreclosure if the assessment balance is below the $1800 (or 12 month) threshold, depending on the circumstances, a court’s equitable powers may kick-in at some point to aid the association in creating a lien against the property or allowing an association to foreclose the lien of an owner that continues to cheat the system by making repeated partial payments for assessments only. An association may be able to argue that despite the Davis-Stirling Act, fairness dictates that the association should be entitled to a lien and to foreclose that lien to accomplish substantial justice.